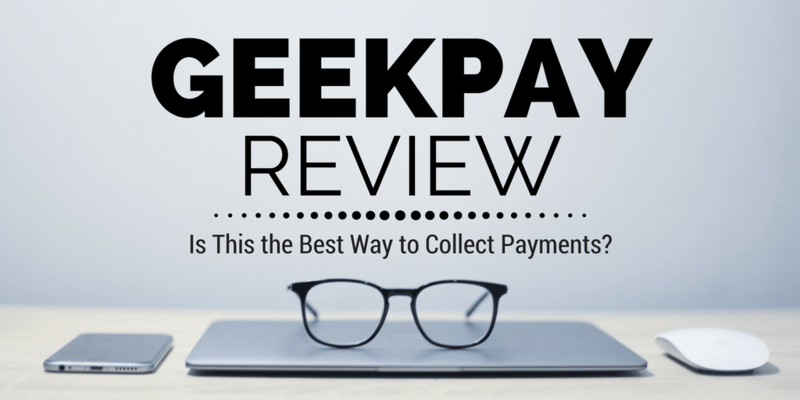 GeekPay Review: Is This the Best Way to Collect Automated Payments? Earlier this year, I was able to get a tour of a new loan servicing platform called GeekPay. 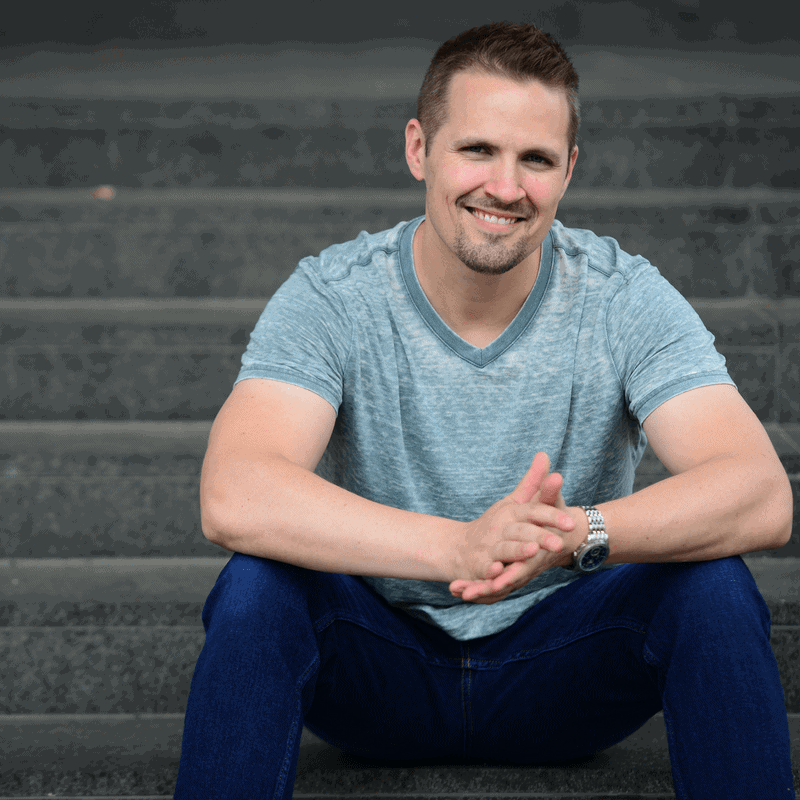 GeekPay is a cloud-based subscription software that recently came onto the market from fellow land investing educator – Mark Podolsky. In my experience, the realm of payment collection for seller financed deals has always been a little harder than I thought it should be, so I was curious to see what new innovations this service would bring to the table. If you're in the business of selling real estate with owner financing, GeekPay is definitely a tool you should be aware of. Note: In order to get familiar with GeekPay, I was given free access to the website – but this blog post is not a paid endorsement, and I do not have an affiliate relationship with GeekPay on any level. Update: As of September 2017 (a few months after the recording of this video), the pricing for GeekPay plans have been adjusted downward, as noted below. As you can see, the site is pretty easy to use, and with their free help center – they seem to do a pretty good job of connecting the dots for people so they don't feel stuck anywhere in the process. The original intent behind GeekPay was to help simplify the process of collecting automated payments for seller-financed real estate deals (specifically, for land investors)… but this isn't the only audience that can put this service to use. From what I saw, GeekPay is similar-in-nature to another service called ZimpleMoney (which I reviewed a while back). However, there are some pretty significant differences between the two. GeekPay has a much more user-friendly (and mobile responsive) design and layout. GeekPay requires a higher monthly cost for more than one loan but doesn't require setup fees for each new loan. GeekPay requires users to establish their own merchant accounts (which ultimately offers much more flexibility, but also requires more steps, approvals, and costs for the user). ZimpleMoney has several plans that allow users to piggyback on their merchant account (which makes it simpler for lenders who don't want to maintain separate merchant accounts but also limits the ways they can collect payments). GeekPay offers more flexibility in terms of the payment methods that are accepted. GeekPay allows borrowers to add multiple sources of “backup” payment, in case the primary method of payment fails. When choosing between the two – the right answer is probably a combination of personal preference AND the extent to which you'll be using the service. From what I could see, ZimpleMoney may easier to justify if you're receiving payments for a few loans at a time (because with additional no merchant accounts required, it's cheaper on a smaller scale). However, GeekPay seems to make more sense for someone who is in the business of regularly extending more than just a few loans at a time, because the system is more flexible, capable and better designed (and on a larger scale, it will actually cost less money). The cost of the merchant accounts you're using. The cost of using GeekPay itself. Currently, I have two merchant accounts – one with BluePay (for credit cards payments) and one with Actum (for ACH payments). Each account is costing me approximately $25 per month, which means regardless of how much I'm using each one, I am paying $50 each month just to keep these accounts open and available for use… and this is in addition to the cost of a GeekPay subscription. If I was charging each of my borrowers $15/mo as a servicing fee (on top of to their monthly P&I loan payments) and I had 7 paying borrowers on the books, this would generate $105 of fee income per month, which would cover the entire cost of using GeekPay AND my two merchant accounts. Additionally, once I've got 14 loans on the books, this would generate $210 per month of fee income, which would cover GeekPay's highest pricing tier AND my both of my merchant accounts – so if you use the service and max it out to its full capacity (or if you charge even more than $15/mo as a servicing fee for each loan), the net cost for the convenience of this service can effectively be nothing – which is worth recognizing. Another thing to keep in mind with a service like GeekPay is that not all merchants are created equal. Some merchants (particularly, the ones that credit card payments) have rules in place that clearly state you cannot use their platform for real estate transactions. This is important to be aware of because it isn't GeekPay's responsibility to make sure you're using the right merchant accounts for the right purposes. It's your responsibility – so before you start using GeekPay, make sure you're fully aware of which types of transactions are (and aren't) allowed based on which merchants you're using. Failing to follow these rules doesn't necessarily mean you'll get any transactions reversed or your account shut down… but it could. So be careful here. You and I are very fortunate to do business in a time when we actually have options like this. Not long ago, the concept of collecting automated payments online was unheard of. The fact that these kinds of services exist and are ready to use is pretty outstanding. All-in-all, GeekPay seems to be one of the better options currently available for servicing loans in an automated fashion like this. Assuming the cost of the service is mostly (if not fully) covered by the fees for your incoming payments, and if you verify that you're using the proper third party merchant accounts for the types of payments you're accepting – the system itself is the most capable and well-designed one I've seen to date for this kind of service. The ability to calculate loan payments, maintain an up-to-date amortization schedule, automate the collection of these ongoing transactions AND handle the accounting is a pretty major help when you're trying to service loans on your own (especially when you have several recurring payments to keep track of each month). Whether you decide to use it or not – GeekPay appears to be a pretty solid platform, and it's probably worth your consideration if/when the need for this type of service arises in your business. Do you have any experience using GeekPay? If so, let us know about it in the comments below! I do seller financing and collect rent payments. I don’t understand why I’d get into such high monthly costs? For mortgage servicing I’ve used trustfci.com , a typical mortgage servicer, $100 to setup, $30/mo servicing to handle escrowing of taxes and ins. There’s many other loan servicers in the similar cost. No fancy expensive bank account to accept payments. Everyone in this servicing class ach to my nothing special business account. Some of these servicers take debit card or CC to make payments. They isolate me from the CC complication. Some of these servicers will do auto pay for the borrower via debt or of course their bank account. I don’t see the lake of taking CC to be an issue. Thus no reason for paying $150/mo on up. I do agree that onboarding to FCI and others is painful to very painful for other servicers. FCI is not bad but not simple like self service like this site. If this service was cheaper, then yes I like self servicing my loan set up and better reports on my loans!!! Some servicers are just terrible for reports! And yes I tack on $30/mo in the closing statement at the closing table. So the borrower is on record agreeing to PITI servicing fee. If I didn’t have to get a merchant account because I don’t care about credit cards, and this servicer where cheaper I’d drop the genre of mortgage servicer in a second! You said it, it seems this service is great for someone who is origining 10’s of loans /mo (high volumn) lots of loans running. It would be miserable using the existing occupant mortgage servicers for low dollar but high count existing loans. Thanks for this info!!! Let me end on, I’m desparately looking for a better, modern, disruptive improvement solution to loan servicing BUT at much lower cost than $150/mo and NO merchant account. I won’t take CCs and I don’t want yet another bunch of institutions my business is having to deal with. I would pay $30/mo $100 setup per loan with NO merchant account but the servicer has to handle escrowing taxes and ins (per Dodd Frank and best practices for owner occupant loans). Thanks for sharing your thoughts on this Curtis. I understand where you’re coming from. It’s hard to find one service that does everything perfectly AND offers it at a low price (honestly, I’m not sure it exists). In the end, it sounds like we just have to pick our battles and “pay the price” one way or another… whether that’s in money, inconvenience or a little bit of both. For several years, I have used http://www.erentpayment.com for collecting rent, automating applications, deposits and online record keeping for an out of state property. Best low cost solution I’ve found. Can adapt for many alternatives. Thanks for sharing Bill. I hadn’t heard of that one – always good to know of other options out there. I use TrustFCI.com also and am very happy with them. I also use Moon Clerk for any c/c payments. Simple and cost effective. Thanks for sharing your experience Jo Ann. Great..! Helpful Article for anybody involving in this business and seems like the most useful tool for them…Thanks for sharing such helpful knowledge do share such kind of articles in the future..! That’s a great review done on GeekPay Seth. Nice article. You have clearly explained about it’s uses and good comparison done with others. Also justifying the costs precisely. Again thanks for the wonderful post. Thanks Seth. I am looking at terms accounts payment options: Geekpay, Zimplemoney, ? What about Quickbooks Payment option? Anyone using that? I haven’t investigated QuickBooks Payment yet, so I can’t speak to that one. I have looked at both of the others though, and they both seem to be viable options. The comm7nication format says asap, or “Thanks for your input, well be right with you”. Yes, that was 72 hours ago with ZERO response after a double charge to my bank avcount. Zero return communication, and zero numbers to call to allay their screw up. Hi Victoria – can you clarify what you’re referring to? I’m not sure I follow.